Collins Dental Equipment was established in 1993 to service the growing need in Central Kentucky for quality new and refurbished dental equipment. As a premier dental equipment supplier, we provide a combination of new and professionally refurbished/used equipment throughout the United States and around the world. Collins Dental Equipment offers a cost effective solution to the high price of replacing your dental equipment or starting a new practice. We also offer a complete service department with trained technicians to help service, support and maintain, your current equipment investment. Thanks to our integrity and efficiency, we have acquired hundreds of trusting clients around Kentucky, and throughout the United States. Our people make Collins Dental Equipment a wise choice for all your new and used dental equipment and dental repair needs! Our team of talented service representatives and technicians have over 40 years of combined experience in dental repairs, refurbishments and installations. 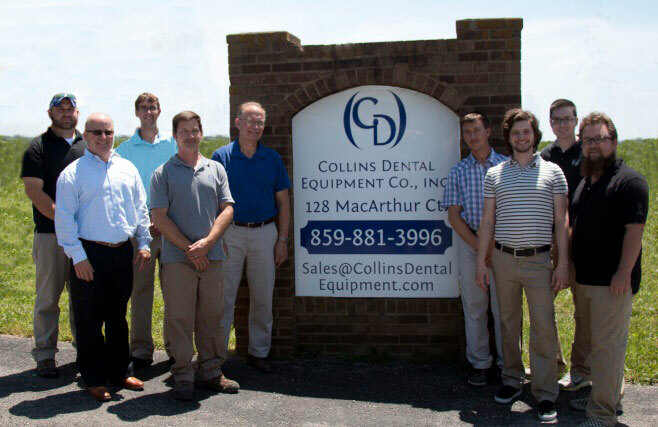 In 2013, Collins Dental Equipment was acquired by Jim Evans who continues to cultivate and grow the company under the parent company, Evans Medical. Jim Evans has over 25 years of experience in medical equipment sales in multiple specialty areas beyond dental including veterinary, surgical, and plastic surgery. Let us be your source for all your medical equipment needs.